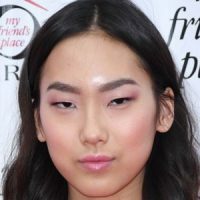 Madison Hu stars as sharp-witted Frankie Wong, who creates offbeat comedy videos with her best friend Paige for their online channel that has become a big hit on Vuuugle, in Disney Channel’s live-action comedy Bizaardvark. Hu fell in love with acting when she was seven and a few years later, landed her first acting role as a spelling bee contestant in the feature film Bad Words, starring Jason Bateman. Her acting credits include several guest starring roles on hit shows, including The Misadventures of Psyche & Me, The Kicks, Grace and Frankie, Tosh.0, ABC’s The Goldbergs, and a recurring guest star role as eccentric science enthusiast Marci on Disney Channel’s comedy Best Friends Whenever. Hu can also be seen in the fantasy-adventure series, Sage Alexander. In her free time, Hu enjoys playing with her dog Marshmallow, ice skating, swimming, playing guitar and piano, and hanging out with her friends.